If you want a central games table – be this table football, pool or even air hockey – then go right ahead. But don’t let that overwhelm the room. Balance is key in a man cave, as it should be a room of many activities. 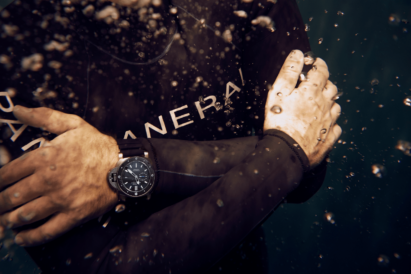 Throw in a bar, a cinema, a sound system – you want options. Neon, for the most part, is a no-no. From garish 80s cocktail clubs to seedy table-dancing bars, the connotations are of sleaze rather than style. 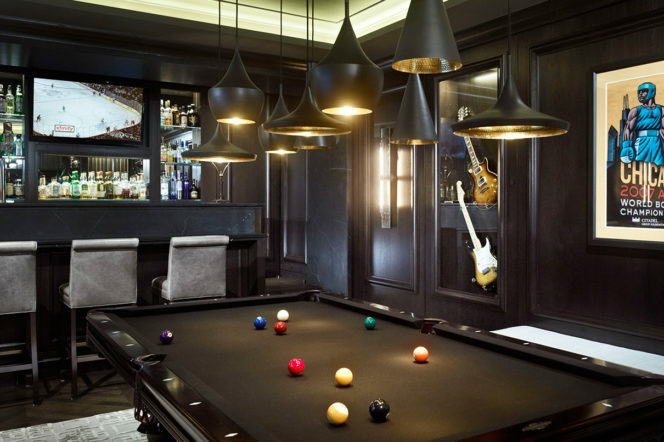 But, for some reason, man caves are exempt from the neon ban. Go as fluorescent as you want, from your name to your favourite drink. Your love for sports is often kept under check by your significant other, who’d rather buy nice curtains and throw cushions than team-branded wallpaper. 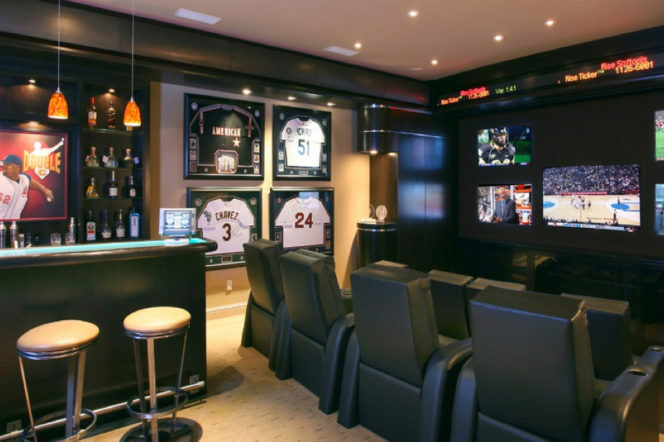 Your man cave, however, gives you the option to show just how deeply you care for your favoured team – whilst creating an atmosphere and area where you can enjoy them winning. Framed photos of sportsmen and glowing signs are all well and good, but if you’re an understated person, don’t push your man cave to be something you’re not. If you just want to enjoy a few drinks, watch television and occasionally entertain, keep it simple, chilled and include just touches of yourself in the decoration and furniture. We’d never condone putting a full-size Pac-Man machine in your living room, or tucking a pinball machine in your dining room, but the man cave is a place where you can let your wildest dreams run wild. In fact, 75% of people want to do exactly that – so if you want to put a full-wall virtual reality golf simulator in your man cave, do it. 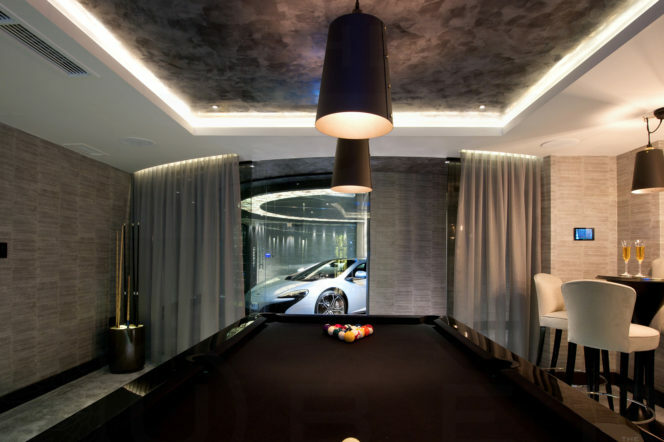 Clearly, at some point money will come into the construction of your man cave. But, if you have the funds to have some fun, then don’t hold back. 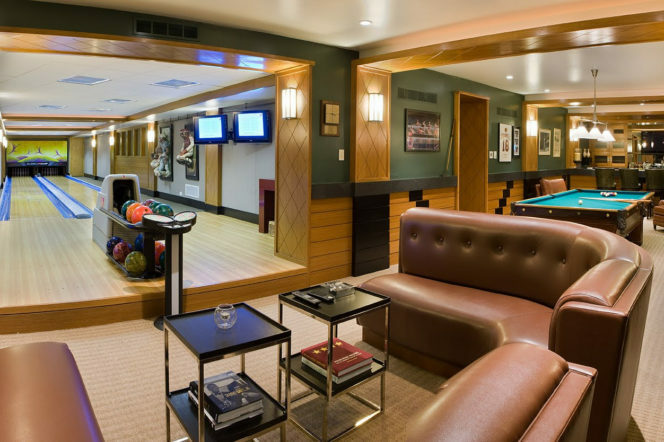 Better install a full bowling alley into your basement than just move a sofa and flat screen television into your cellar. Have some ambition. 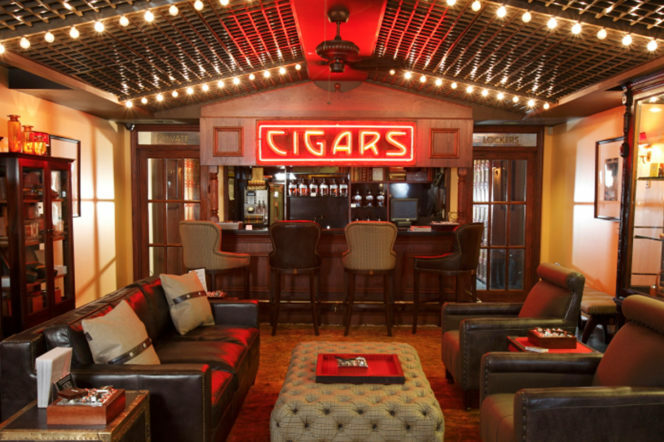 Iconic bars and clubs around the world are iconic for good reason. So don’t be afraid to borrow ideas and designs from other establishments. 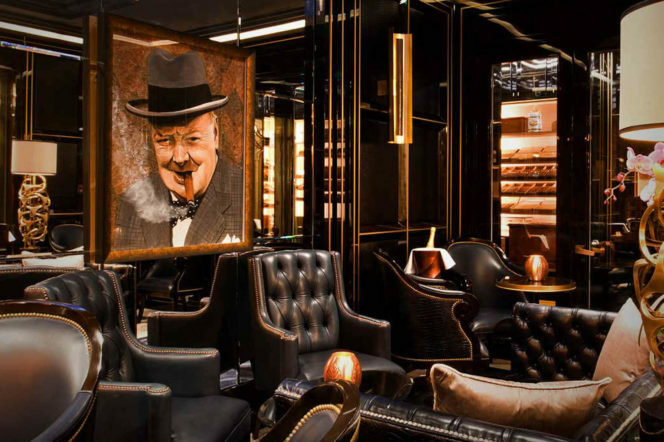 Be that in colour scheme, furniture, or hanging a huge picture of Winston Churchill on the wall, you can’t go wrong if you follow in the footsteps of the professionals. Calling back to our very first point, if you do decide to install a cinema – which is a great idea – try to hide your screen away as best as possible. You don’t want your entire man cave to look like a cinema the entire time, so maybe invest in a projector and a plain wall. 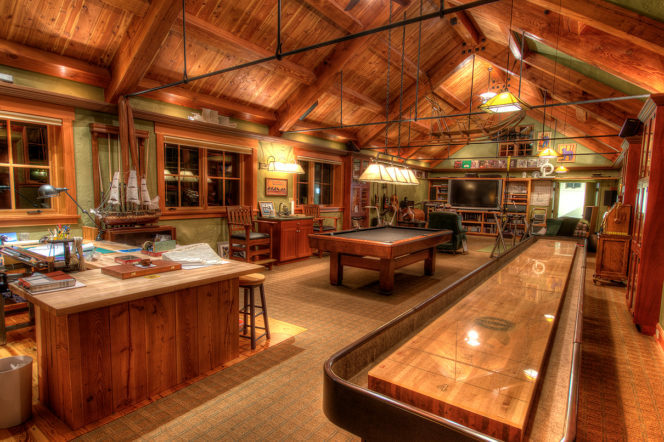 A man cave should be a multipurpose room. 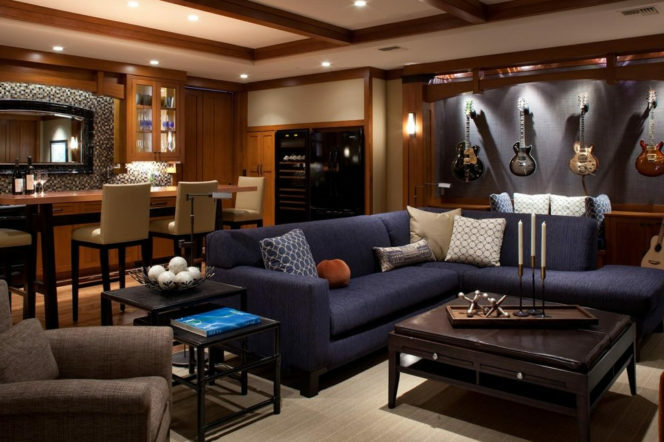 As it’s just one room, you don’t want your man cave looking too patchwork. If some of your furniture is made out of a light oak, don’t buy a mahogany desk to go in the corner. Your room should feel like a united space, so approach design with an eye to make a room that is identifiably you – and in which everything matches. 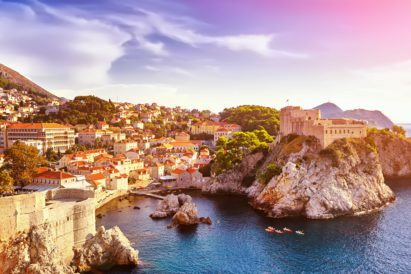 Deciding between a chic city break or a relaxing beach holiday? There are a shiny handful of locations out there which mean that you don’t have to choose. 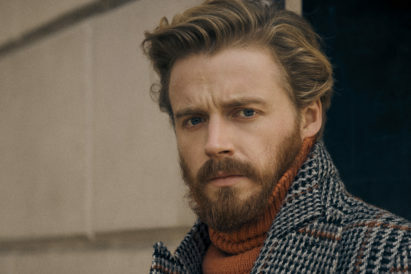 If you don’t recognise Jack Lowden yet, we can pretty much guarantee that by this time next year he will have graced at least one of your screens.